REAR CROSS TRAFFIC ALERT. 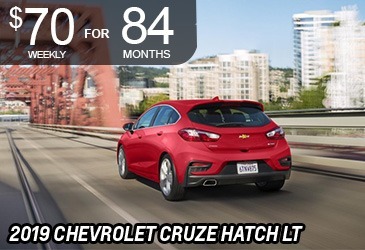 When Cruze is backing up, Rear Cross Traffic Alert uses radar sensors to monitor passing left- or right-cross traffic and alerts the driver to detected vehicles. LOW SPEED FORWARD AUTOMATIC BRAKING. 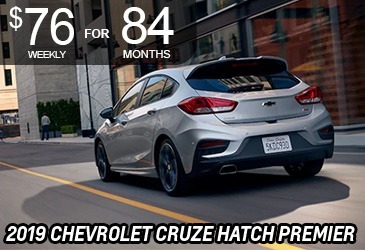 When Cruze is traveling at a low speed and the system detects that a front-end collision situation is imminent while following a detected vehicle and the driver has not already applied the brakes, the system automatically applies the brakes to help reduce the collision’s severity. The system may even help avoid the collision at very low speeds. 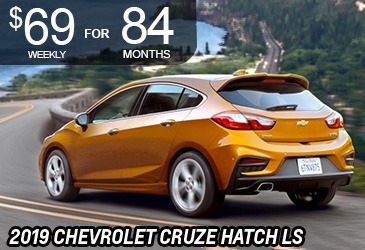 Payments are based on 84 months @ 1.99%, $0 downpayment, plus tax and Lic . OAC , other finance options available.